As if that’s not enough, Insomniac Events will simultaneously celebrate the EDC Week on June 12 - 19 which will be held in various Sin City hotels, clubs and other event venues along the Strip. Your EDM specified that some hotels are even offering ongoing hotel packages in partnership with the event organizers. These deals have added perks for booked guests who will attend the event such as Fast Lane passes at premium clubs as well as exclusive EDC items. Insomniac Events is at the forefront when it comes to supporting the EDM community. 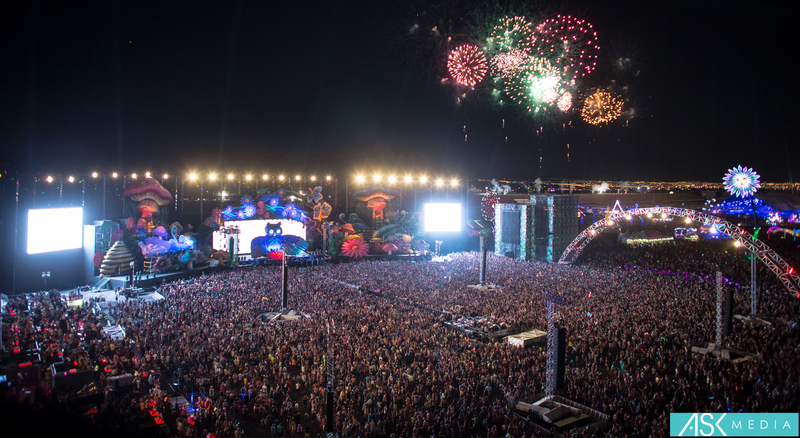 Its flagship festival EDC, has several incarnations all over the US and the Las Vegas leg, which launched in 2011 has been drawing record-breaking crowds. EDC Vegas 2015 which was the event’s 20th anniversary tallied more than 400,000 attendees. The celebration has grown so much so that it has transferred from the Los Angeles Memorial Coliseum to its current venue to accommodate the increasing number of visitors. The Las Vegas Review Journal elaborated that the organizers and the city agreed on tapping into the potential of the Strip as well as other event destinations in the city for festivals such as EDC. Over the years, Las Vegas has become an rapid entertainment hotspot. Although mostly known for its casinos, the city has experienced reduction in on-site engagement especially in its gaming establishment due to the emergence of many digital mediums. These digital portals offer the same services but with the added bonus of players being able to play from the comfort of their own homes. The variety in which they are being offered often exceeds land-based casinos too, hence why many people are refusing to fork out for expensive trips to Las Vegas nowadays. Gaming portal Slingo for one, hosts more than 250 thematic slot titles, and players have the option of signing up for membership similar to Sin City's VIP clubs to experience perks such as free spins and other bonuses. As a result, players get the same treatment they would be offered in The Strip's most hip gaming centers. Conversely, Vegas with the hopes of invigorating dwindling visitor numbers turned to other events such as sports events, live musicals as well as EDM and rave festivals like EDC to attract a wider demographic and more diverse audiences. EDC has been consistently receiving great feedback from attendees, which in turn helped and inspired Insomniac Events to organize similar parties not only in the US. EDC India was held for the first time this year and will return again next year. The first EDC Japan will make its debut in Tokyo in 2017, and they’re cooking up a UK version of the event as well. As the organizers in NYC shift their attention to the West Coast, the next incarnation of EDC Vegas looks brighter, bigger and more epic. Tickets are now on sale through the event’s official website and authorized resellers.